We are known and appreciated by our puppy families for our devotion to our puppies. From the time they’re born until the day they go home to their new families, our pups are our #1 priority. Our pups are ready to take on life outside our home, given the early attention and training they receive in areas of neurological stimulation, socialization, crate, and potty training. By the time they go home, they have been introduced to crate and outdoor potty training, making it much easier for their new families to help them adapt to their continued training. Bringing a new puppy into your family can seem daunting, especially for homes with busy schedules, long work days, young children, or for those who are overwhelmed at where to even begin training a puppy. We offer a Puppy Imprint Service to our program, to help take the stress of those early weeks and sleepless nights away for puppy families. In these cases, our puppy families will meet their new puppy, but instead of going home at the age of 8 weeks, the pup continues to live with us in our home (the length of stay depends on the level of training the puppy family wishes to receive). We continue what we have already instilled and take care of the crate-training, house-training and socialization during those critical first few weeks, and add on-leash walking, basic commands and obedience to the regime. The longer the puppy stays with us, the more “extras” the puppy will have time to learn. 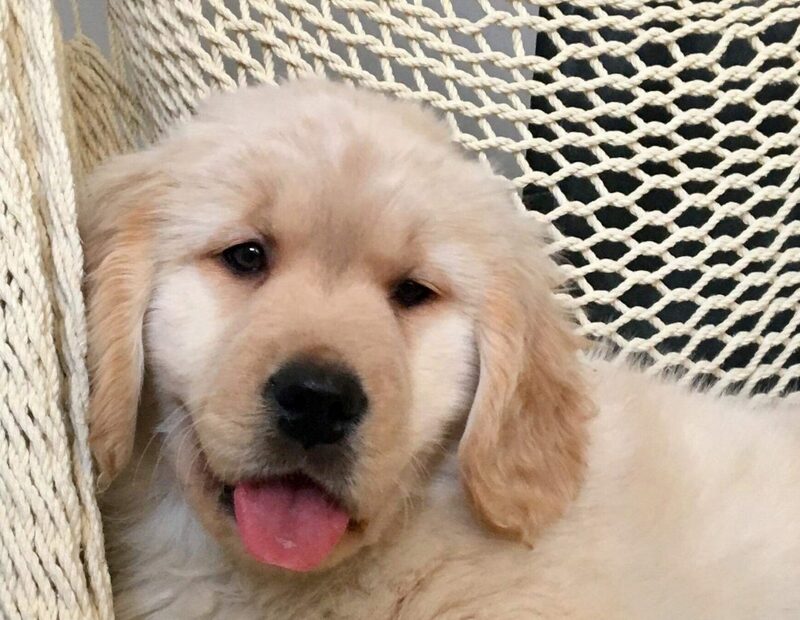 Families are welcome to visit their puppies, and I will am in direct contact via text message or email with updates, pictures and videos so families stay in the loop with their puppy’s progress and understand everything their puppy is learning. Families receive a well mannered, obedient pup who has learned basic skills and be ready to join the family without the work of initially training a pup. Families will be given a private training session on the day of pick up so they understand everything the pup has learned and how to continue at home. It is absolutely necessary to understand that the pup will still need to be given consistent rules and structure once they move into the family home. The price of this service is not inexpensive and it’s not a feasible option for everyone, but in certain circumstances, families will find that the extra money spent is very much worth it and the only way they would consider bringing a puppy into their home. Currently, we charge an additional $650 + HST per week of imprint training, past the age of 8 weeks old. Due to the extra commitment and consistency this service demands, we can only accept 2 puppies into our imprint program at a time. Occasionally, we have spaces for Puppy Imprint Training for puppies purchased outside of our breeding program. All breeds are welcome ! If you are planning a puppy purchase and are interested in our puppy imprinting service, please contact us for pricing details and to see if space is available to fit your needs. we focus on crate training, which will result in a seamless transition to your home and usually the puppy will be sleeping all night without needing to go out to potty, and for a few hours each day. the puppy will be provided with imprint training and will begin to recognize his/her name, introduced to basic commands such as “come”, “sit”, “lay down”, “leave it” and “stay”. we will be in regular contact with puppy’s new family and provide a training lesson on day of pick up. Please remember that it takes several months before a puppy’s bladder is mature enough to be considered fully outdoor potty trained and new families must expect the occasional accident, especially in the initial transition from our home to yours. As long as puppy families remain consistent and committed to providing the training we’ve started, accidents should be minimal and continue to lessen after each passing week. we will continue daily socialization for the puppy, lots of car rides, walks in town and familiarize him/her with new sights and sounds each day. Our current price for Imprint Training is $650 + HST per week. Beginning October 1st, 2019 our weekly price will increase to $750 + HST per week. We will honour any current contracts with the price given at the time of booking. Included in the price is TLC WholeLife Food, NuVet Supplements, treats, toys, collar, and any veterinary vaccines that are needed in the time puppy spends with us. Please contact us to book a visit.